Helping people discover how to buy a house over the past 21 years has revealed 7 inalienable truths that are contrary to the instincts they have when we first meet. Ironically, the very things they initially want to do would cause them to lose money and spend a lot of time getting frustrated. Fortunately, when they hire Joe Manausa Real Estate to help them buy a home in Tallahassee, we guide them away from these inclinations a show them how to use these 7 tips on how to buy a house. I share them with you here today so that you can keep some of your hard-earned money in your pocket. Why are these tips ageless? Times change. Sellers' markets become buyers' markets. Buyers' markets become sellers' markets. The cycle will never end. New technologies change the process, and the role of people in the real estate industry evolves. In the past you needed real estate agents to know what was available, but today you can search all homes for sale in Tallahassee online. But there are some ageless, inalienable truths on how to buy a house that you should discover before you get started, and I describe them below. None of these might appear to be earth shattering discoveries, but I have found that they fly in the face of what normal homebuyer instincts and behaviors have revealed to me over the past twenty one years of helping people discover how to buy a house in Tallahassee, Florida. Whether or not you are ready to be active in the real estate market, you will one day need to know how to buy a house. History has taught us that owning a home (versus renting) makes great financial sense for most people. Of course, most of us would choose to own a home versus renting for non financial reasons as well. Whatever your motivation for owning a home, being informed and prepared BEFORE you begin the process will yield greater satisfaction in the home that you select, and money savings for the entire venture. Take the time to learn the process first - The very first contact that we have with most homebuyer's is when they have found a home they want to see. This is a mistake. If they build a relationship with a real estate agent based upon a home, they are likely to work with an unqualified real estate agent, and that will cost them money. To better understand how to buy a house, first learn how to hire a real estate buyer's agent. Find out why your instinct to write low-ball offers actually works against you - I would say that more than 2/3rds of the buyers that we work with at Joe Manausa Real Estate initially believe that the only way to get the lowest price possible is to start a negotiation with an amount that is very low. While that can work in very specific situations, it most often actually costs the buyer money. Learn how to write a compelling real estate offer, and you will get the house of your dreams at the lowest price possible. Discover how to write the perfect real estate purchase offer - The housing market is down, and in general, we know that home values have fallen. But does that mean that every home on the market is priced consistently and that your strategy should be the same regardless of how the home you like is positioned? Won't some homes be aggressively priced, some be priced with the market, and the majority over-priced? You need a strategy that changes with the different level of offerings that are possible and you can read all about this in How To Make A Real Estate Offer. Of course, you should also check out our highly trafficked article titled How To Make An Offer On An Overpriced Home. Use this tip to become a cash buyer ... even if you're broke - Did you know that most home seller's would take less from a buyer who is paying cash than from one who has to rely on a bank for the money to purchase a home? Why not be a cash buyer then? Don't let the weak excuse of not having enough money to be a cash buyer stop you from being ... well, a cash buyer. Here is a great article on how to buy a house as a cash buyer. Understanding creative financing helps you, even if you are a cash buyer - If you have perfect credit, you might not think you need to use creative financing tips for home buying. But there are tactical opportunities that you can employ by understanding how these work. You won't be fully knowledgeable on how to buy a house until you understand the basic tenants of creative financing in real estate. Know the basic elements of the real estate contract that you will be using - If you were going to build a house, I would recommend that you get a good working knowledge of the tools that you will be using (hammer, nails, saw). But buying a house requires different tools, and the most critical tool is the real estate contract. 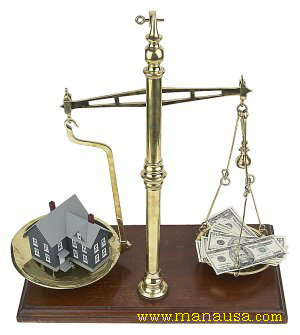 You should have a very good grasp of the real estate contract and what is included in the sale of the home. Prepare yourself on how to buy a house before you write the offer - Finally, follow this preparation before you make an offer in today's chaotic real estate market, and you will be more prepared than 99% of the buyers that I have seen over the past 21 years in the Tallahassee real estate market. If you have reviewed the information shared above and think you are ready to take the next step, just drop me a note and we can ensure that you know how to buy a house in your local housing market. My wife and I are wanting to get our first home together after Christmas, but we aren't sure where to start. I like that you suggest first learning about the home buying process so that you can choose a qualified real estate agent. I want to make sure we get the best deal possible, so we'll be sure to find a real estate agent that understands their roles.